Knowing your personal muscle fiber make-up can be an invaluable aid when it comes to properly targeting your training program. If you're working your muscles in the wrong way, you'll be cheating yourself out of hard-earned results. Every muscle in your body is made up of a bundle of small fibers. In each bundle, you have two main types of fibers: slow twitch and fast twitch. We will explain exactly what these are in a moment. The percentages of these different fiber types that your muscles are made of can help you determine exactly how you should train each particular muscle group in your body. Slow Twitch: These are also known as Type I or red muscle fibers. They are responsible for long-duration, low-intensity activity such as walking or any other aerobic activity. Fast Twitch: These are known as Type 2 or white muscle fibers (divided further into A and B). They are responsible for short-duration, high-intensity activity. Type 2B fibers are built for explosive, very short-duration activity such as Olympic lifts. Type 2A fibers are designed for short-to-moderate duration, moderate-to-high intensity work, as is seen in most weight-training activities. By looking at elite athletes in different sports, you can see extreme examples of each make-up of muscle fiber. At the slow-twitch end is the endurance athlete, such as the marathon runner. These athletes can have up to 80% or more of slow-twitch muscle fibers in their bodies, making them extremely efficient over long distances. At the fast-twitch end is the sprinter. World-class sprinters can have up to 80% or more of fast-twitch muscle fibers in their bodies, making them extremely fast, strong, and powerful but with limited endurance. "When you're training with weights, your goal is to work as many muscle fibers as possible." First, determine your one-rep max (known as the 1 RM) for an isolation exercise for that muscle group; e.g. the dumbbell curl. Find the weight you can do only one rep with. You want to use an isolation exercise because any exercise that uses any other muscle groups will skew the results. Once you've figured out your one-rep max, take a weight that is 80% of it (multiply your max weight by 0.8 to get this) and do as many reps as possible with it. If you can do only four to seven reps with 80% of your 1 RM, you have mostly fast-twitch fibers in that muscle. The reason you will only be able to do four to seven reps with 80% of your 1 RM is that fast-twitch muscle fibers are strong but don't have great endurance. You will be able to lift more weight won't but you be able to do as many reps with it. The ability to get approximately ten reps with 80% of your 1 RM is the typical fiber-type mix for a muscle. This works out to about a 50/50 split between fiber types. If you can do 12 to 15 or more reps with 80% of your 1 RM, your fiber make-up is probably skewed toward slow-twitch fibers. Slow-twitch fibers are not as strong but have excellent endurance. This means you won't be able to lift quite as much, but you'll be able to do a lot more reps with it. Repeat this procedure for each muscle group you wish to determine a type for. (It will vary from muscle to muscle.) By knowing what type of muscle fibers you have, you can tailor your training toward developing them to their maximum potential. For example, in most people, the outer, visible muscle of the calf (the gastrocnemius) is usually an even mix of slow-twitch and fast-twitch fibers, while the soleus (which lies underneath the gastrocnemius) has a higher percentage of slow-twitch fibers. Two more examples of this similarity between people include the abdominals and the hamstrings. These two muscle groups are both generally made primarily of fast-twitch fibers. If your fibers in a particular muscle consist primarily of slow-twitch fibers, in order to affect the greatest number of those muscle fibers, you'll need to train that muscle with higher reps, shorter rest periods, and higher volume. This is because they take longer to fatigue, they recover quickly, and they require more volume of work to maximize growth. Unfortunately, slow-twitch muscle fibers are limited in their potential for growth, so even if a muscle group is primarily slow twitch, you should definitely include some lower rep training to maximize the fast-twitch fibers you've got in that muscle. If you find you have a hard time gaining size in a particular muscle, it could be because it has a predominance of slow-twitch muscle fibers. Higher reps (e.g., 12 to 15 reps), higher volume (more sets), and shorter rest periods (30 seconds to a minute between sets) can help you to maximize those muscles. This doesn't mean you should use light weight, though. You should still strive to use weights that are as heavy as possible that will cause you to reach failure in those higher rep ranges. If you don't use heavy weights, you won't give your muscles a reason to grow. 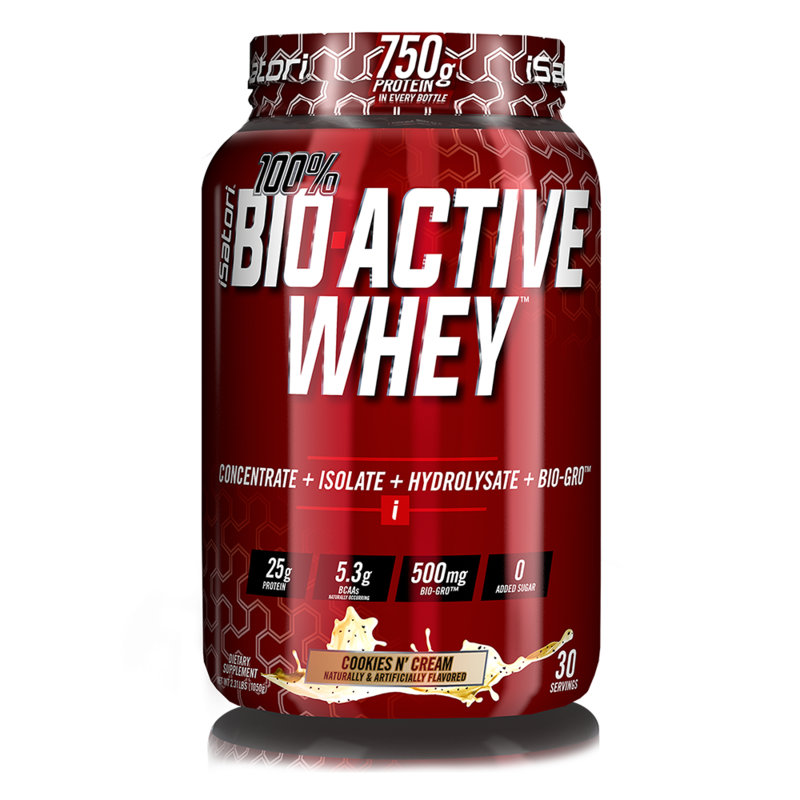 Improving your recovery, strength and rate of protein synthesis are three major factors for improving muscle growth and performance, regardless of your muscle fiber ratios. 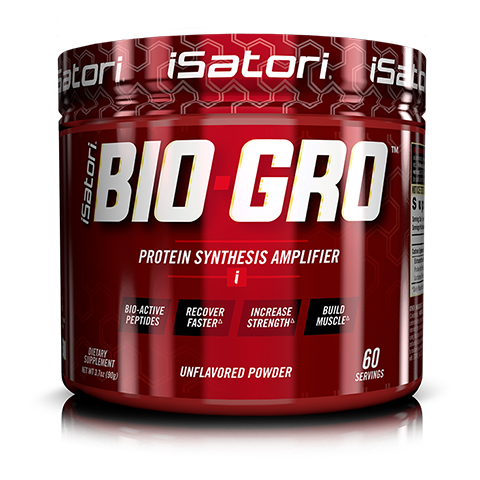 The combination of BIO-GRO™ Bio-Active Peptides and CREATINE A5X™ work synergistically to help improve strength, recovery and rate of muscle growth helping you maximize your results regardless of you muscle-fiber makup. If your fibers in a particular muscle group consist primarily of fast-twitch muscle fibers, you're one of the lucky ones. You'll have a much easier time building mass in that muscle—fast twitch-muscle fibers have greater potential for size than slow twitch. The more fast-twitch fibers you've got, the greater your ultimate muscle size can be. These muscles are most likely your strongest and quickest to develop. To maximize your muscles with fast-twitch fibers, you'll need to train with low to moderate reps (e.g., four to eight reps), rest periods of around one to two minutes, and a moderate training volume (too much volume will compromise recovery). If your muscles have a fairly even mix of fibers, you can evenly divide your training between focusing on the lower rep, fast-twitch fiber training and the higher rep, slow-twitch fiber training. 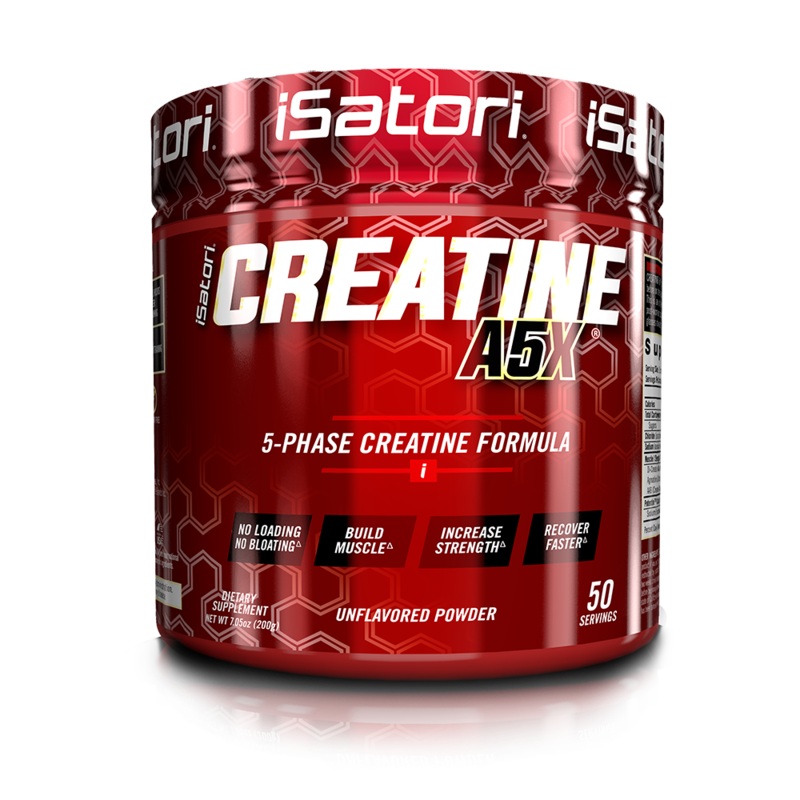 This will help you to develop all the fibers in your muscles, maximizing your ultimate development.